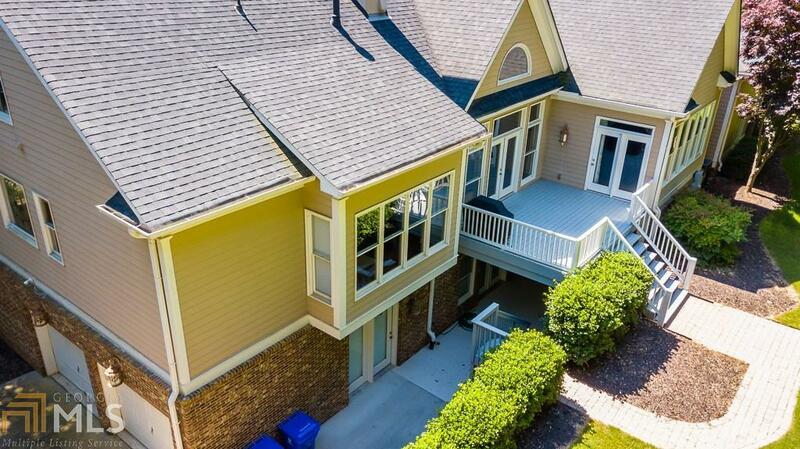 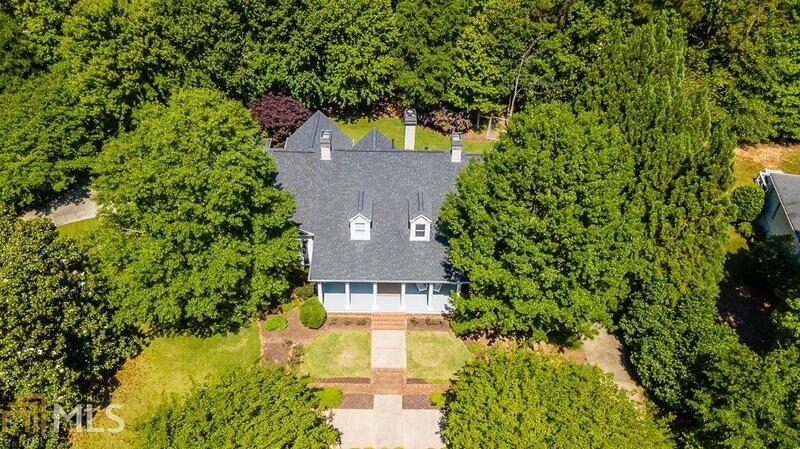 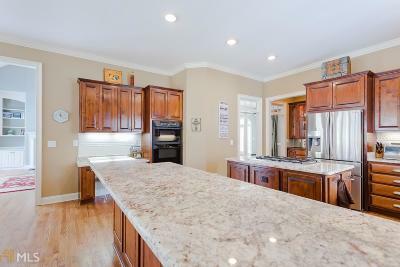 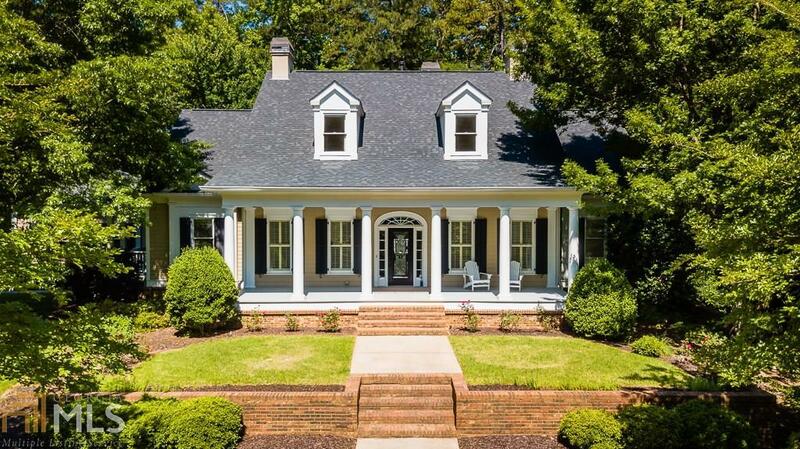 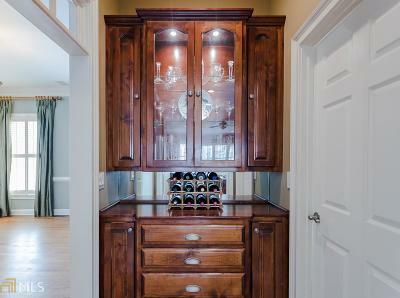 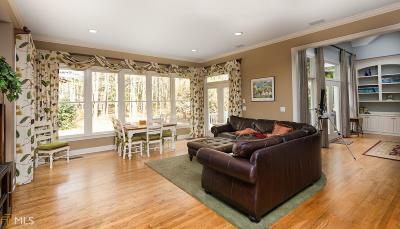 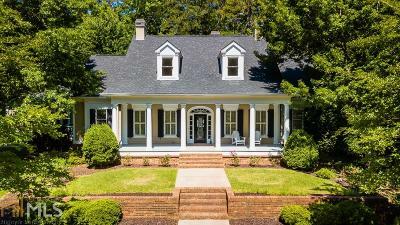 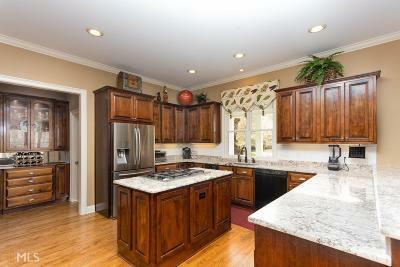 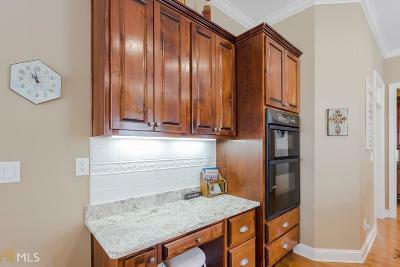 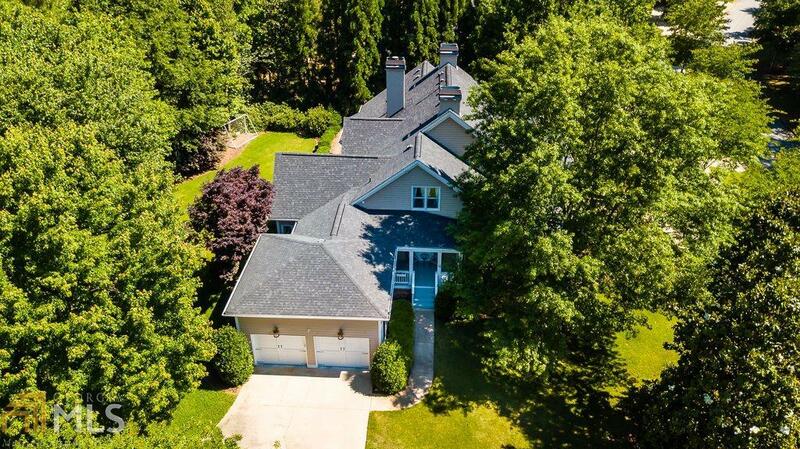 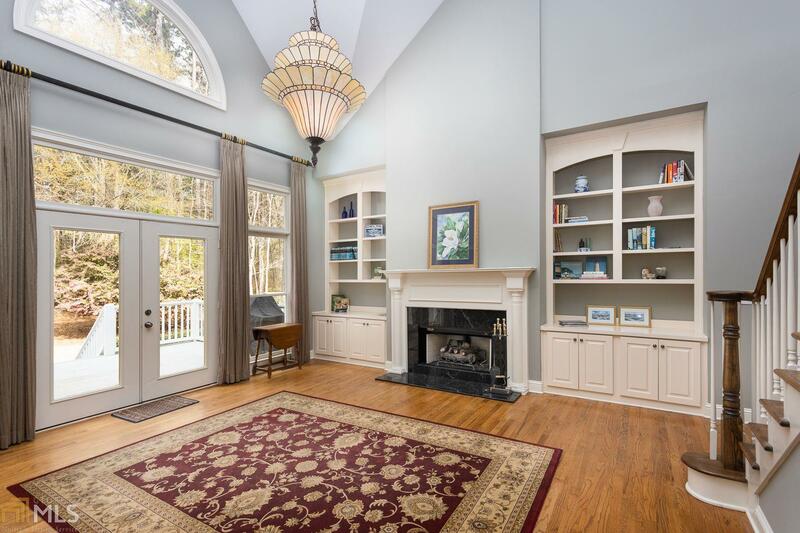 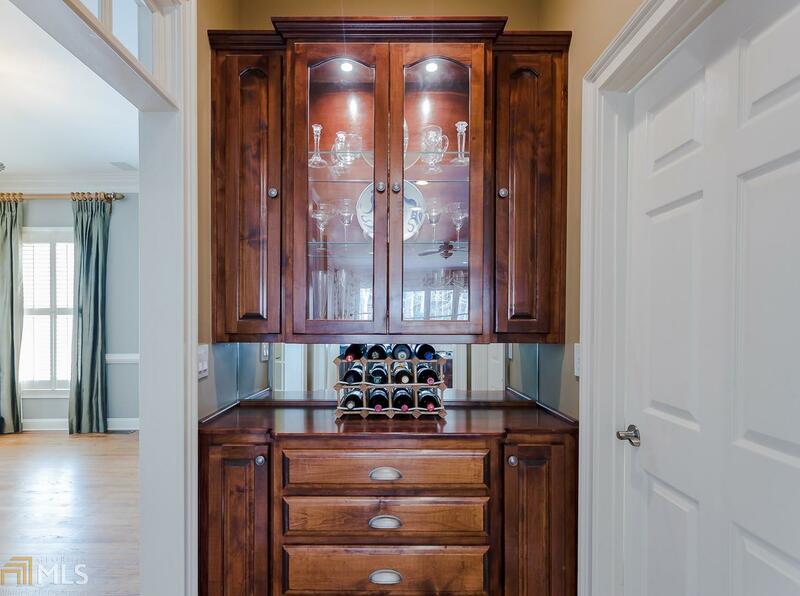 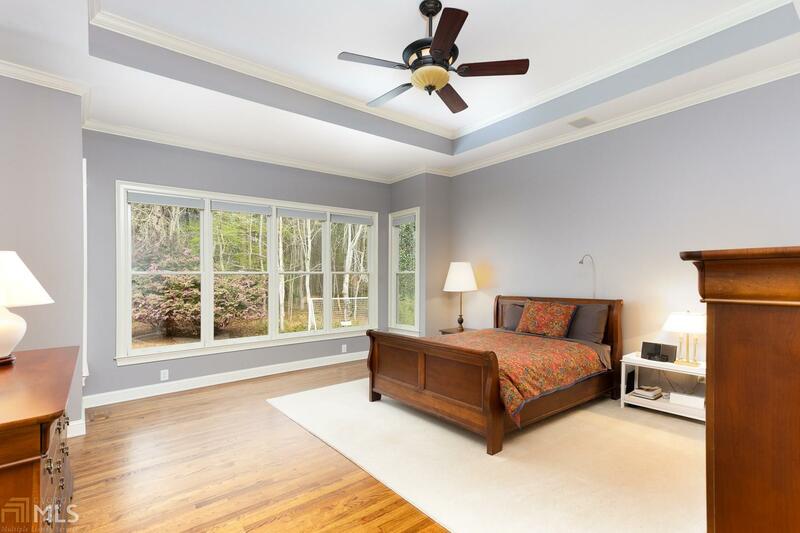 Spacious, Custom Highgrove home in the coveted Starrs Mill District! 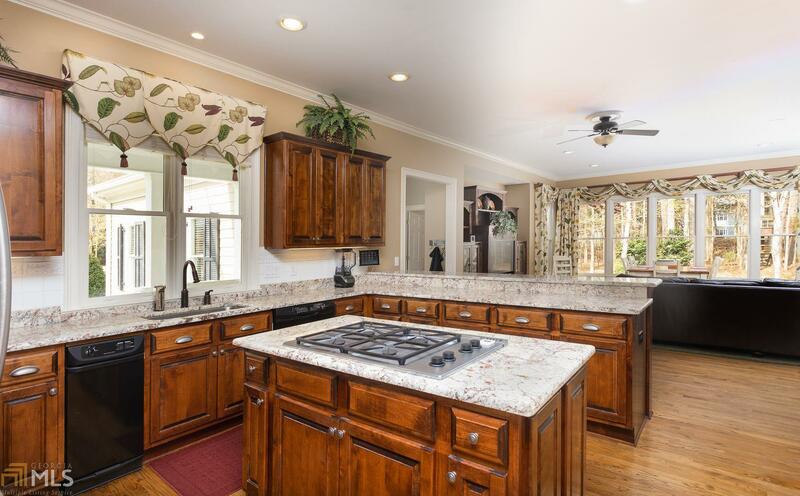 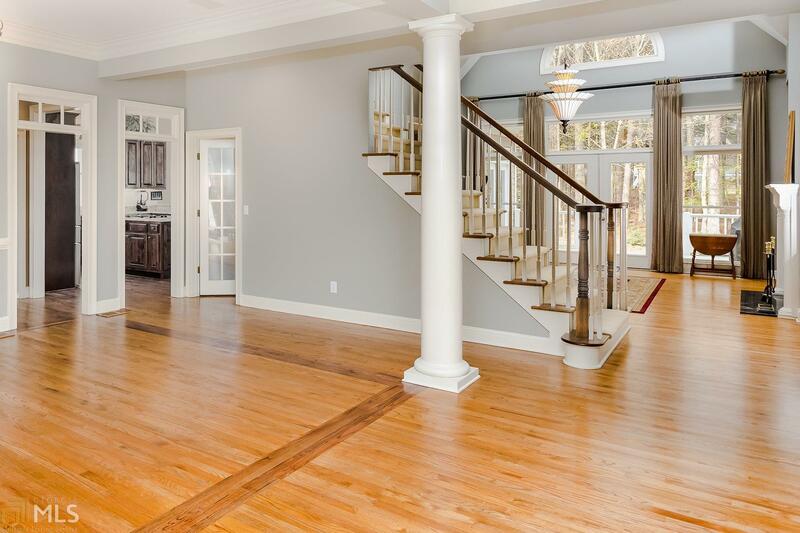 Welcoming foyer w/ hardwood flooring throughout main level, gourmet chef's kitchen w/ island, breakfast area, open keeping room w/ beautiful sunlight. 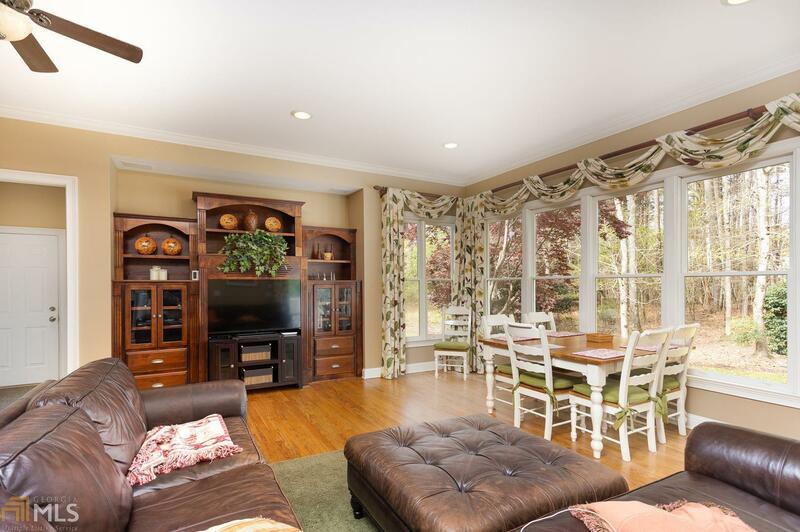 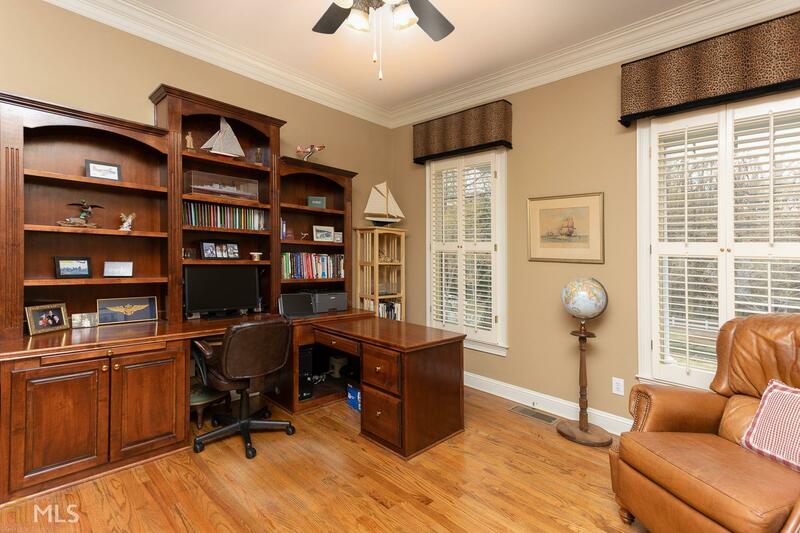 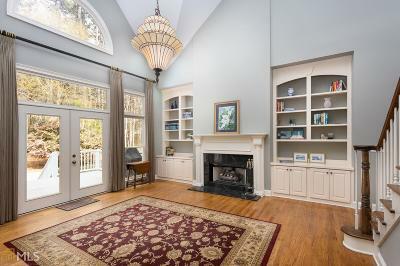 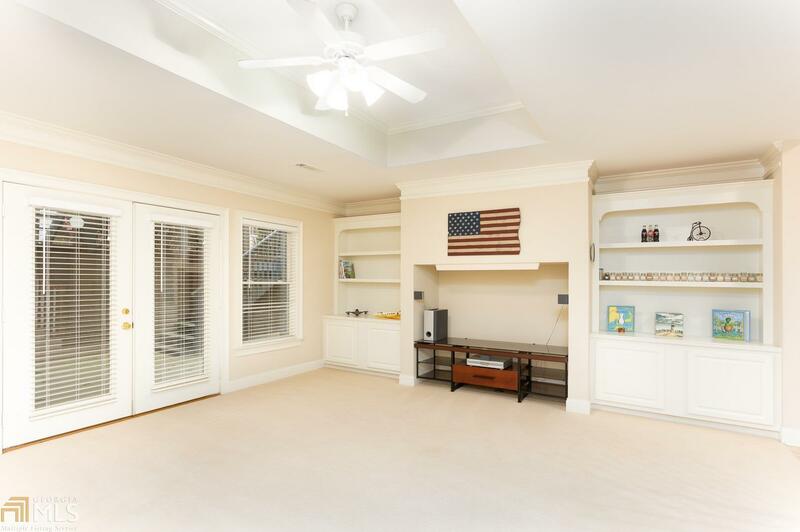 Private study, large formal dining area, family room w/ vaulted ceilings, cozy gas fireplace, built-in custom bookcases. 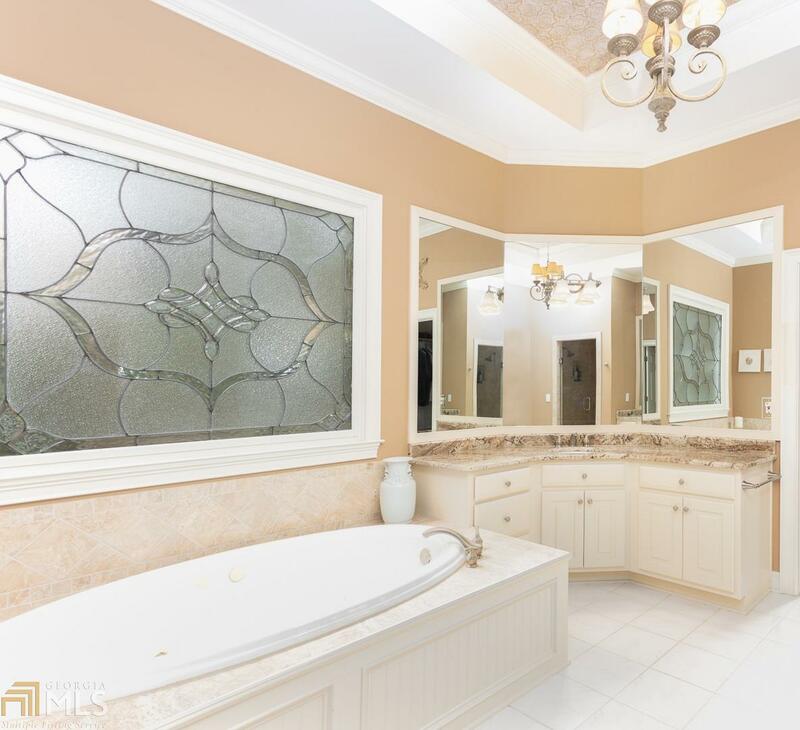 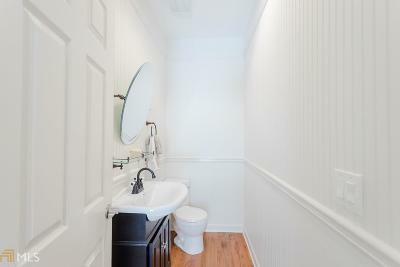 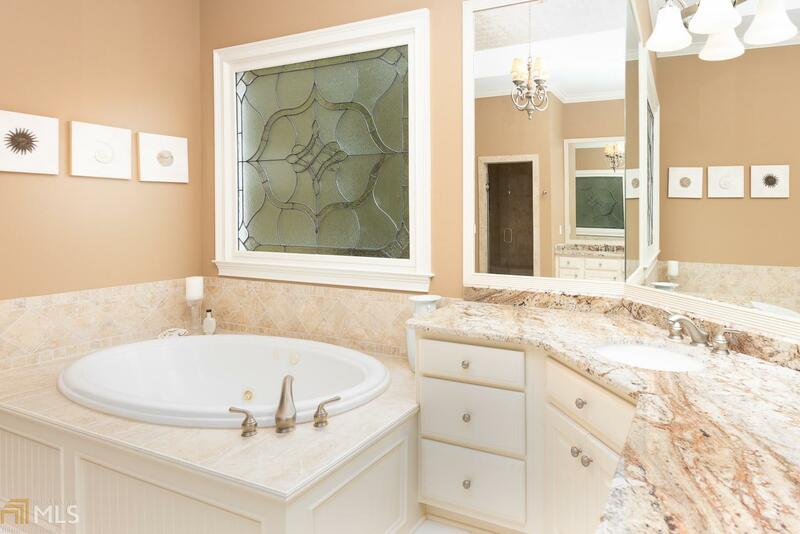 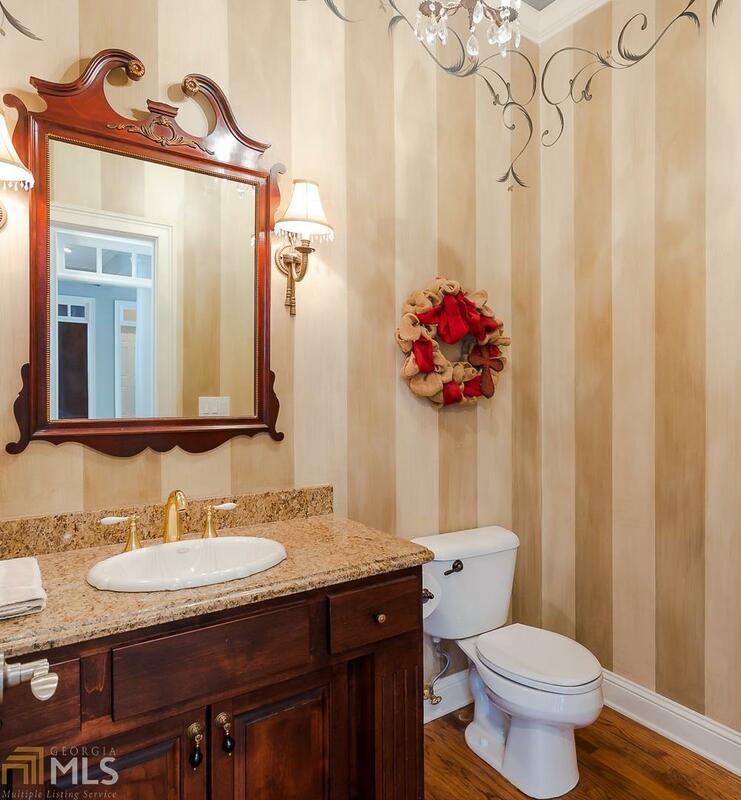 Private master suite on the main, enormous his & her walk-in closets. 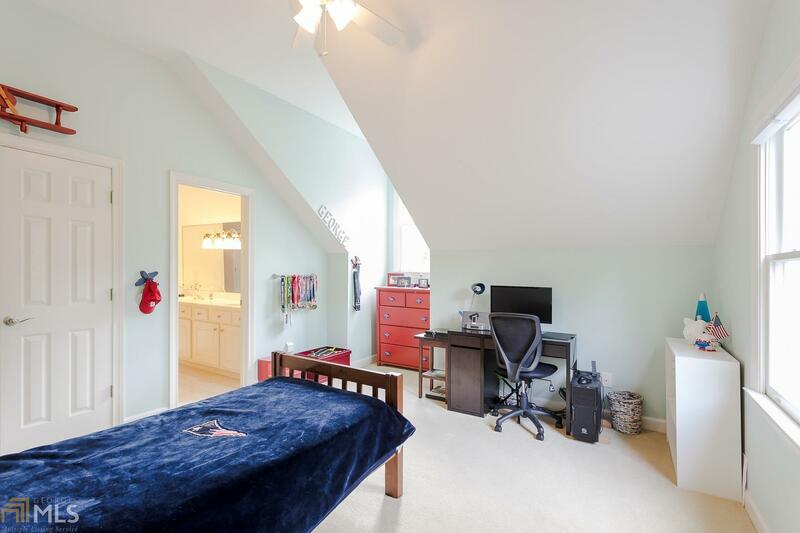 Upstairs has 3 large bedrooms,2 full baths. 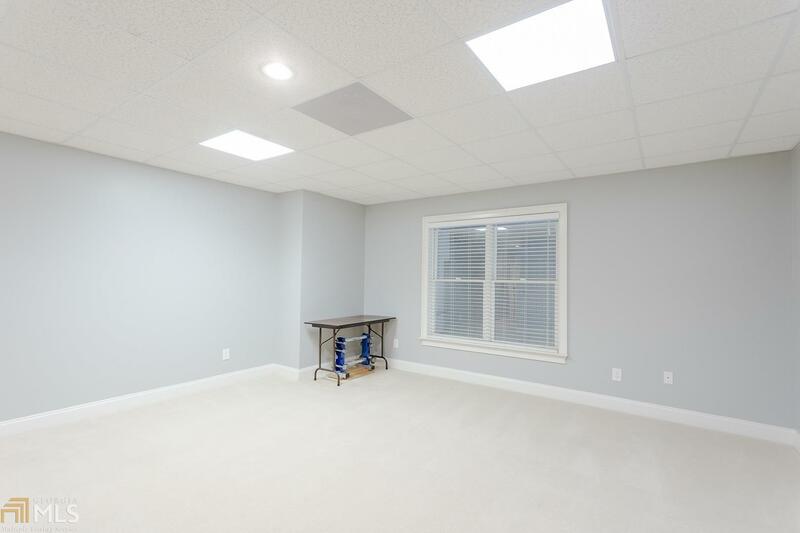 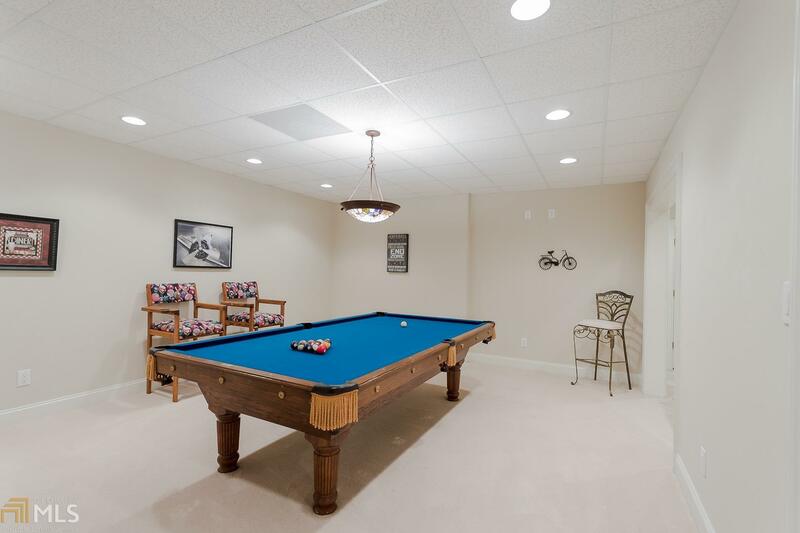 Basement features a family room, game room, bedroom, full bath, & separate garage perfect for a workshop & has a separate driveway entrance. 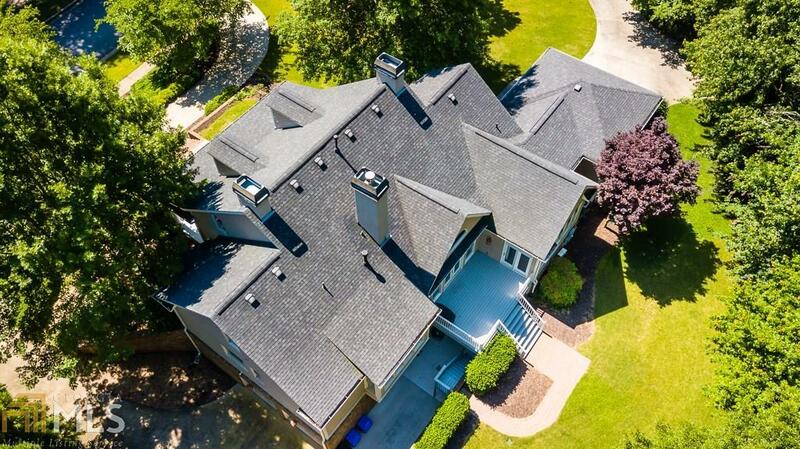 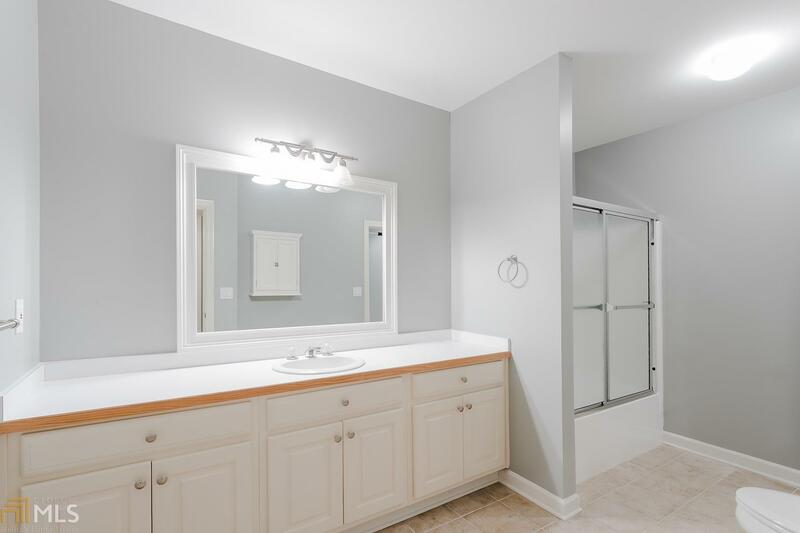 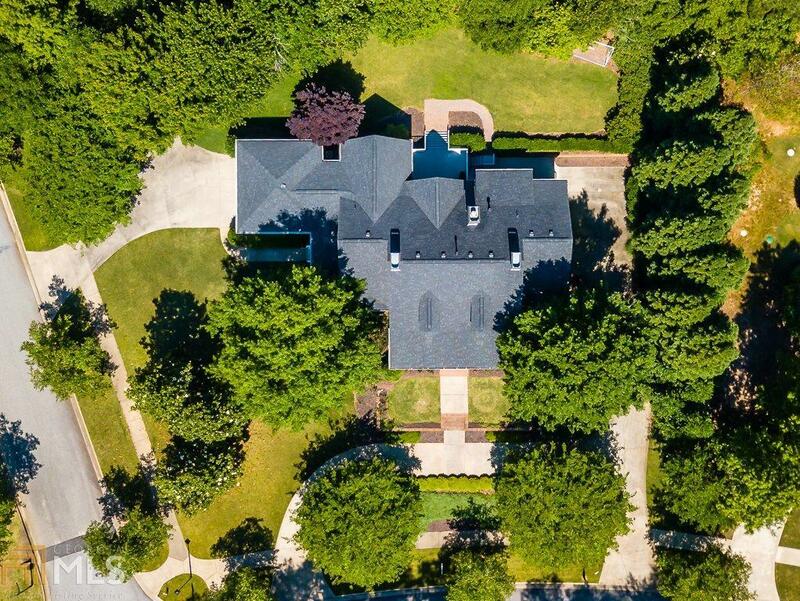 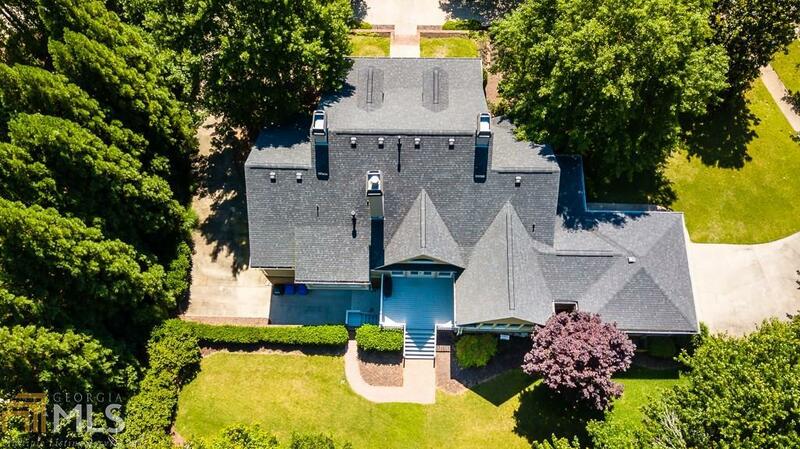 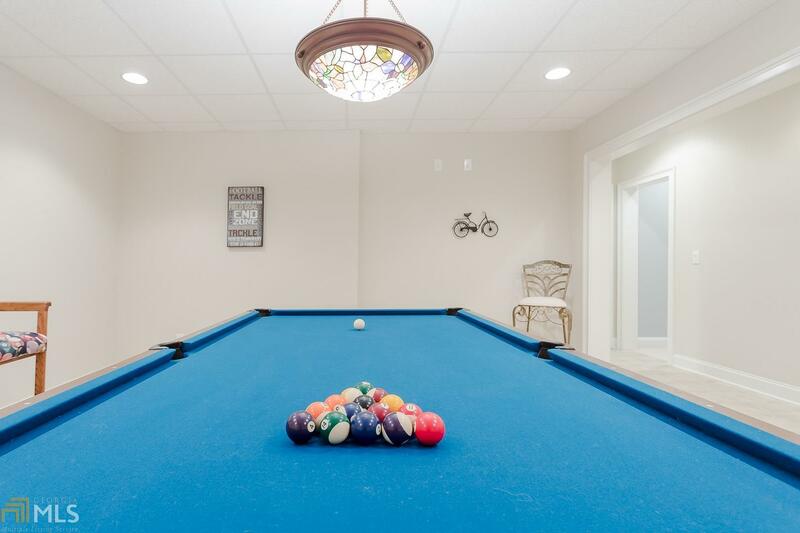 This beautiful home sits on the corner & is across the street from a community play area. 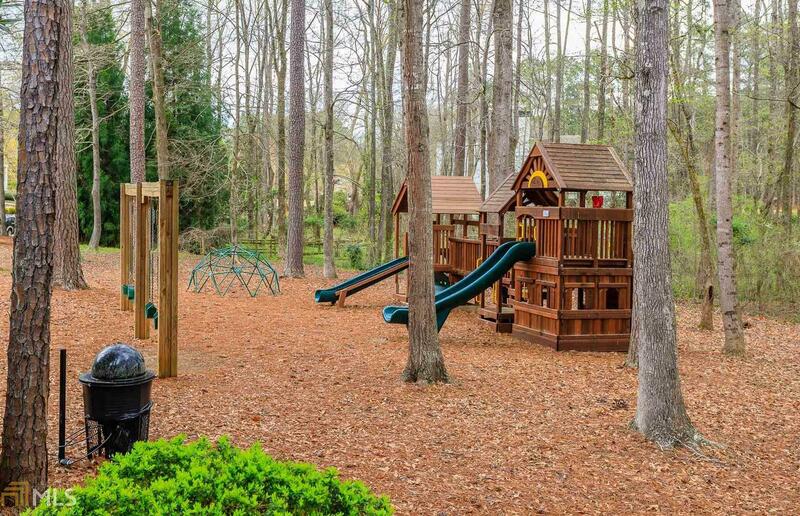 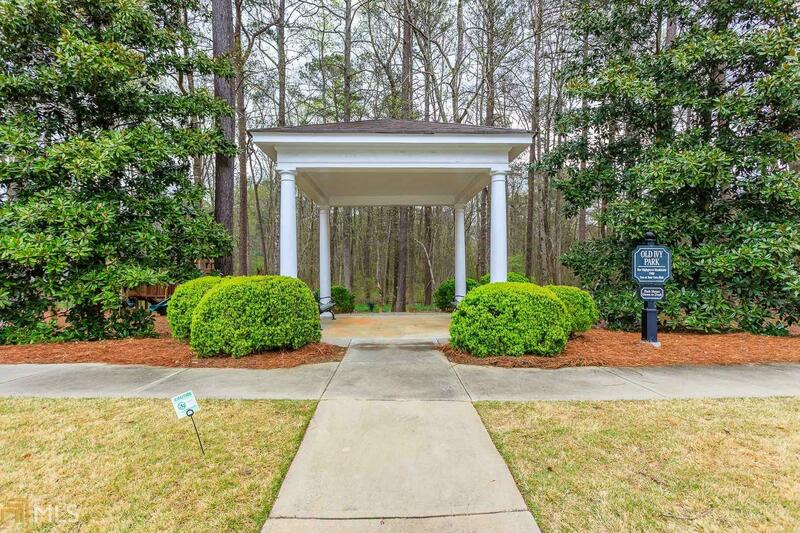 Highgrove is an amenity filled community w/ swimming, playground, tennis & more! 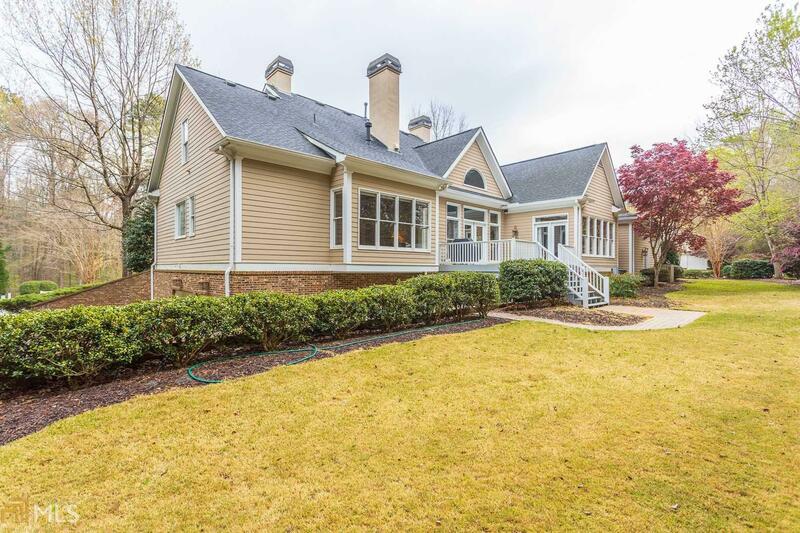 Directions: South On Peachtree Parkway, Left On Redwine, Left On Old Ivy Home Across From The Neighborhood Playground.